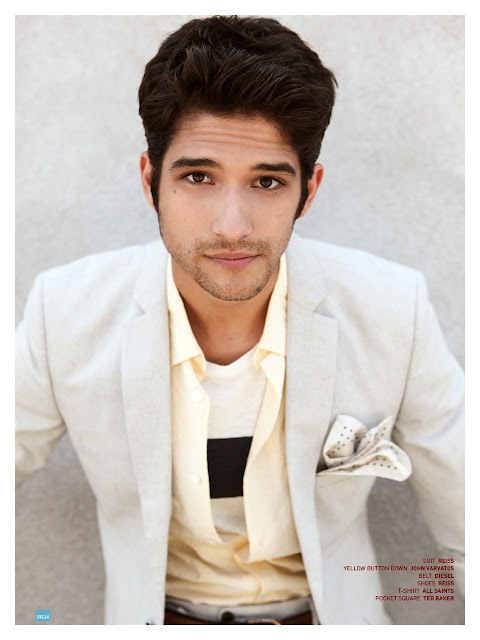 Tyler Posey photographed by Amanda Elkins for the latest issue of Bello magazine. Here is what the Teen Wolf hottie had to share with Bello. So much has changed for me,” he says. “I can’t walk down the street without being looked at, recognized, photographed.” He continued, “I’ve been able to travel the world thanks to the show. I’ve done and been places I never thought I would. I’ve been really blessed. He has to be Latino, right?” says Posey of his character. Though his character’s ethnicity hasn’t been addressed directly on the series yet, Posey is pretty positive that it’s self-explanatory. “His mother’s a little dark as well. I’m sure he’s half Latino at least. It wasn’t so much that I was a fan of the original film, it was more so that I was a fan of Michael J. Fox’s work.